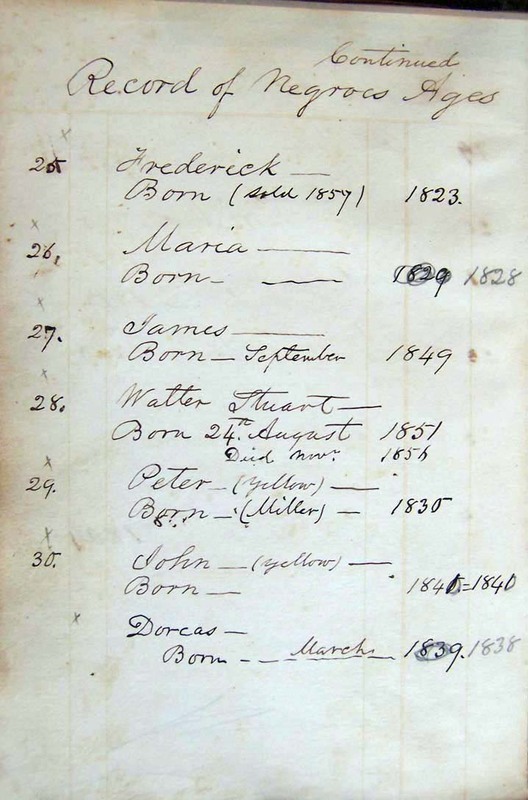 1860 census records indicate there were 429 head-of-house slave owners in Davidson County, and the average number of slaves each owned was five. Dr. William R. Holt owned around 100 slaves, making him one of the largest slave owners in Davidson County. 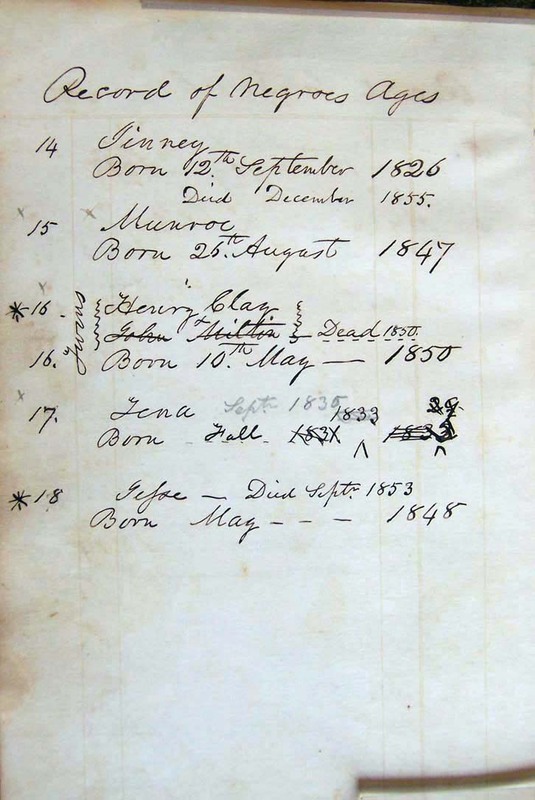 His "Plantation Commonplace Book” includes a 23-page listing of slaves from 1850 to 1863. It notes births, deaths, and the monetary value on each slave, and is the only such original record in the Museum's permanent collection.Dr. Holt was a founder of the North Carolina Agriculture Society, and engaged in experimental farming at his Linwood Plantation. Records indicate Augustus was hired out through 1864. 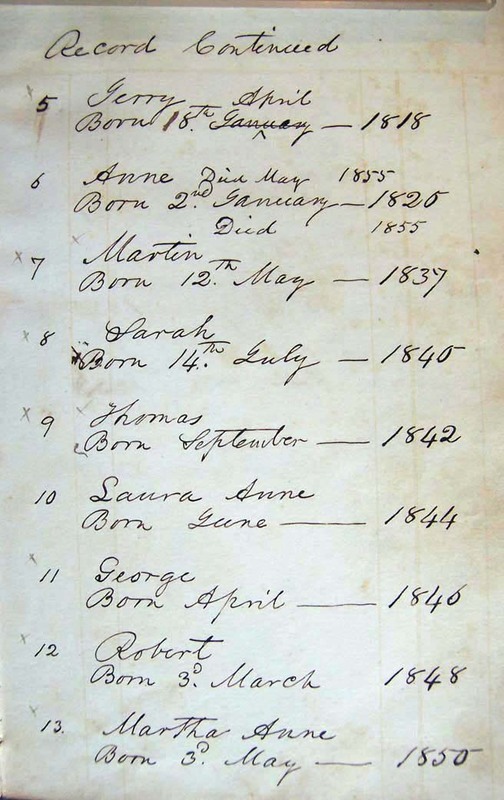 There are no documents in the collection that indicate the fate of Bob, Amos and Jane. These documents are from the Stephen Badgett Collection and relate to southern Davidson County. This ad states that a slave, Jim, will be disposed of according to law if his owner does not come forward with proof of ownership. If not, perhaps Jim would have been made available for purchase, perhaps through public auction. Thus far, we have found no evidence of large auctions held in Davidson County by slave traders. However, estates were auctioned on the courthouse steps and some of the inventories here appear to be related to estate settlements. There were many private transactions in which slaves were sold by one owner to another. 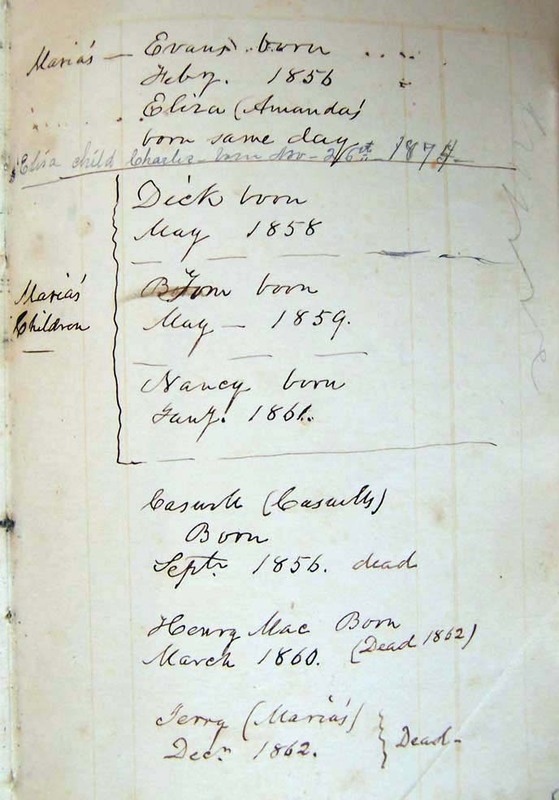 Bills of sale were recorded and noted in county court minutes. Another resource is the Minutes of the Court of Pleas and Quarter Sessions, the system of local government used prior to 1867. 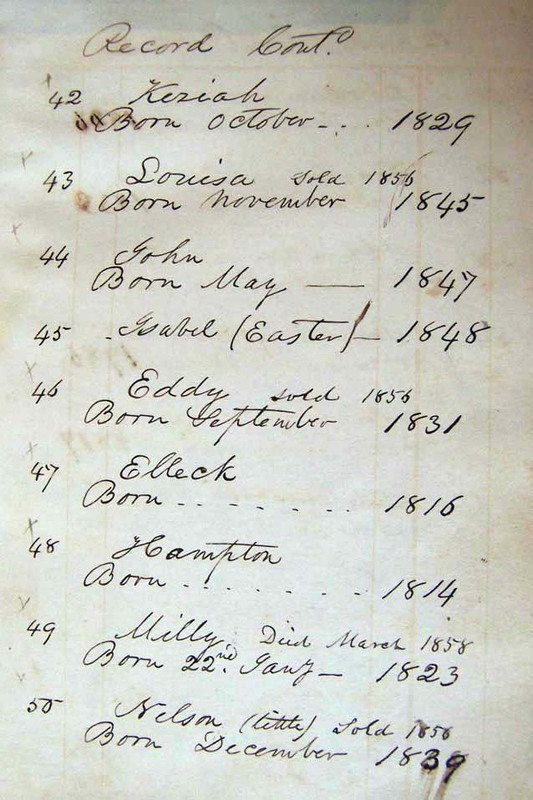 These minutes are being transcribed by the Davidson County Genealogical Society, which has created an "Index of Slaves & Free Persons of Color Without Surnames, 1830 through 1839", available at the Lexington Library. Real property auctions and estate sales were held on the steps of this courthouse, as were sale of slaves. Local tradition says that the granite blocks at each end of the front portico were used as auction blocks for these sales. If so, such auctions would have been conducted at this site for only a brief period, as the Civil War began only a few years after this courthouse was completed.